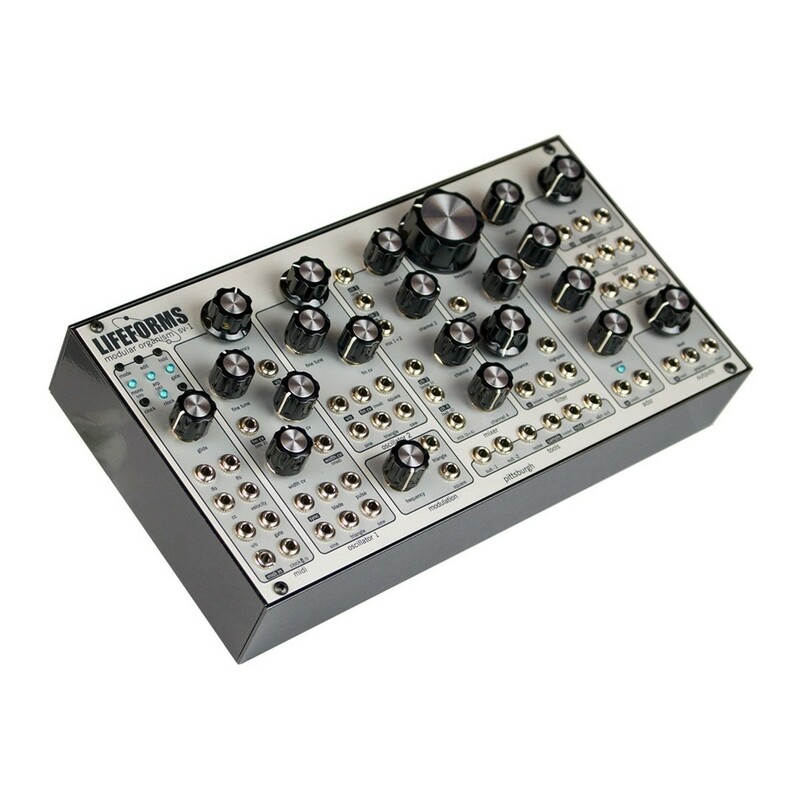 The Pittsburgh Modular Lifeforms SV-1 Blackbox is a portable and powerful standalone desktop modular synthesiser, perfect for both the beginner and advanced modular user. It features a range of built in functions including patchable oscillators, filter, MIDI converter, mixer, envelopes and more providing everything you need to create iconic and colossal synth sounds. The SV-1 Blackbox is a powerful self-contained modular synthesiser and offers all the tools you need to create sounds both in the studio and on the go. 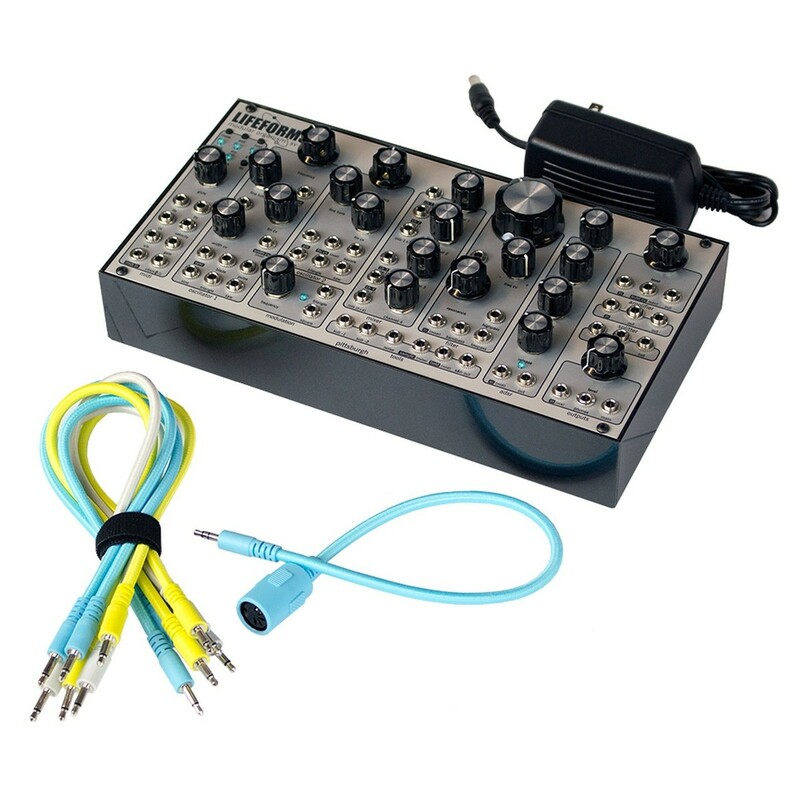 The SV-1 Blackbox comes with 6 patch cables and a black enclosure. 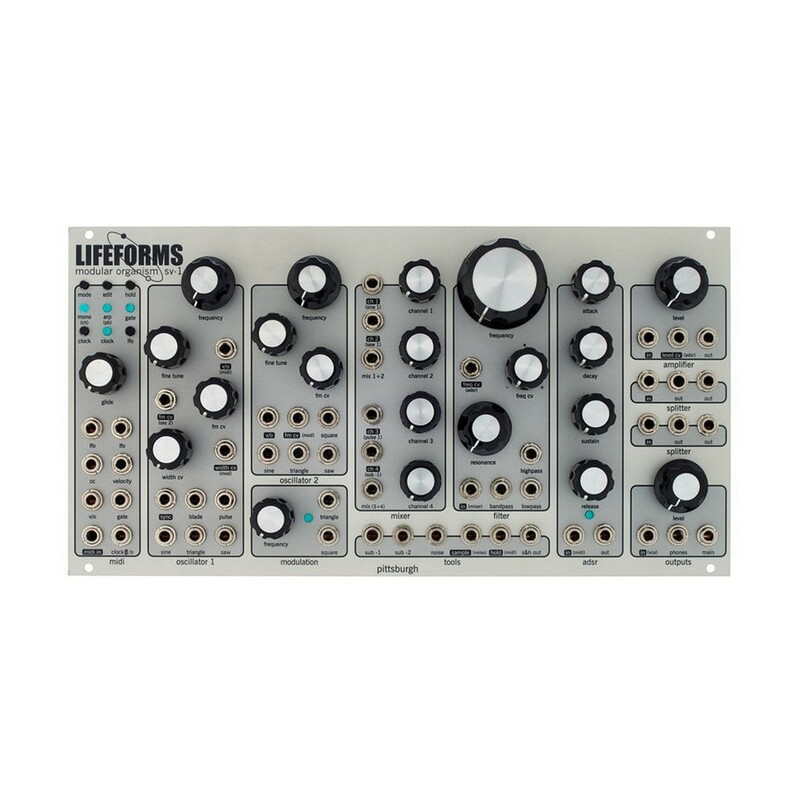 The Pittsburgh Modular Lifeforms SV-1 Blackbox is pre-patched underneath making it ideal for the beginner modular user that is looking to get started with modular but isn't quite into patching just yet. All you need to do is plug in a MIDI controller and speakers and you can start playing. Additionally, the SV-1 features 53 patch points allowing the more experienced user to start patching and also give the beginner user a chance to patch. As you begin patching, the power of the SV-1 comes alive and provides a tremendous amount of flexibility and capability for synth sound design. All the analog classic waveforms are available in the SV-1 including sine, saw, triangle and square for creating both those beefy bass sounds and large lead lines. The SV-1 is designed to be patch compatible with any eurorack synthesiser regardless of size. Combined with the wide variety of synthesis options on the SV-1 and a larger collection of modules a whole new world of controls and sound design is possible. Its ability to connect to external modules makes the CV-1 an ideal portable desktop module that can be taken to any studio and fitted with another modular system. 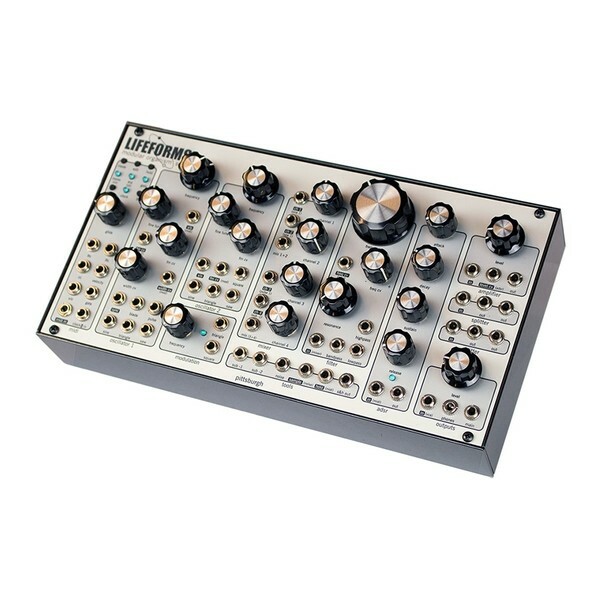 Conveniently the SV-1 module can be taken out of the Blackbox and fitted to a larger eurorack enclosure and any other eurorack format case. The SV-1 Blackbox comes with a built-in range of functions for sound design including 2 beefy and clean oscillators, modulation and tools which provide access to 2 sub-octave oscillators, analog noise and sample and hold with the hold function pre-wired to MIDI clock to create perfectly timed random voltage steps, 4 channel mixer that comes pre-wired for fast access to oscillator 1's waveforms but can also be split into 2 independent two channel mixers, a rich and thick state variable filter, 4 stage envelope generator with a plucky, organic feel, MIDI, clean and responsive VCA, splitters, and also line level and headphone outputs. The SV-1 provides you with a whole range of tools for sound design. The built-in MIDI to CV converter allows connections for a range of MIDI-compatible gear and converts it to control voltage inside the SV-1. Its volt per octave and gate outputs allow you to easily connect a MIDI keyboard or DAW to control the SV-1. A wide range of patch options is available allowing you to access glide, CC and velocity as well as a digital clock-synchable LFO with various waveforms for modulation options. The SV-1 features a built in arpeggiator which provides all the arpeggio responses you need from double triggered, random, and random with random gate giving the SV-1 another level of playability and option to create complex rhythms and patterns. The dual oscillators provide the classic waves with a bonus unique blade wave that can be controlled with the width CV input to create a sweeping or chorusing effect. The 2 oscillators are beefier and cleaner that Pittsburgh's past modulars. Oscillator 2 is normalled to the FM of oscillator 1 which gives it the ability to create huge analog FM bass, deep percussive hits, leads, and thick, warm pads.